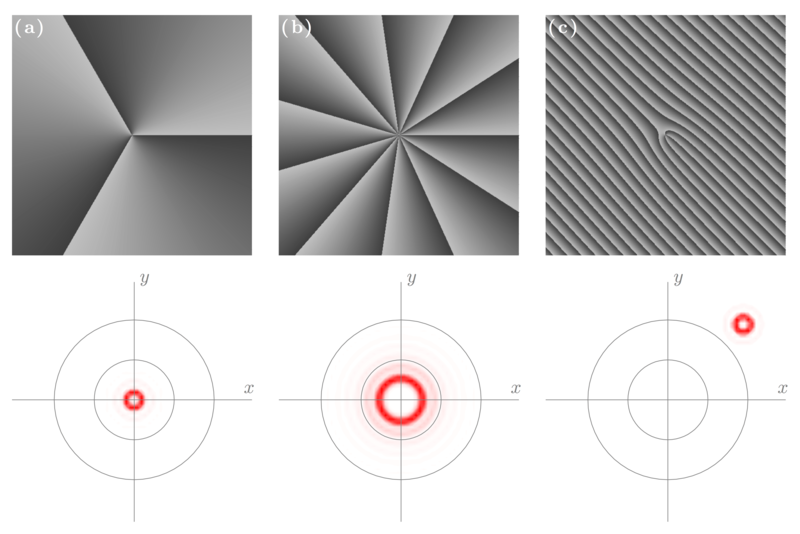 Figure 11.6 — Laguerre-Gaussian beams. The beam can be generated by the phase modulation given by Eq. (11.31) and shown in (a) and (b) for beams of azimuthal order l = 3 and 11. Note that there are exactly l 2π phase jumps along the angular direction. In (c), a grating is added to the phase mask in (a) to alter the direction of the 1st-order Laguerre–Gaussian beam away from the 0th-order unmodulated light. Both the phase modulation (top) and the focal spot intensity (bottom) are shown.